Big kids of the UAE listen up: you no longer have to grow up. Our city has become one big playground book-ended by a huge sand pit to the South (read: the desert), and a great big paddling pool to the North (read: the sea). 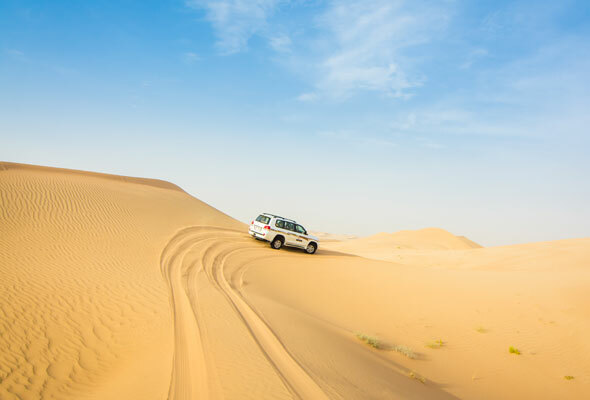 So, abandon your adulthood, here’s how to start acting like a child in the UAE. Ever felt like stepping into hurricane force winds to see if you could fly? No? Well, you can do it anyway at Spacewalk, Abu Dhabi’s indoor skydiving centre. Walk into the wind tunnel and before you know it you’ll be horizontal and flying in the air like Superman. 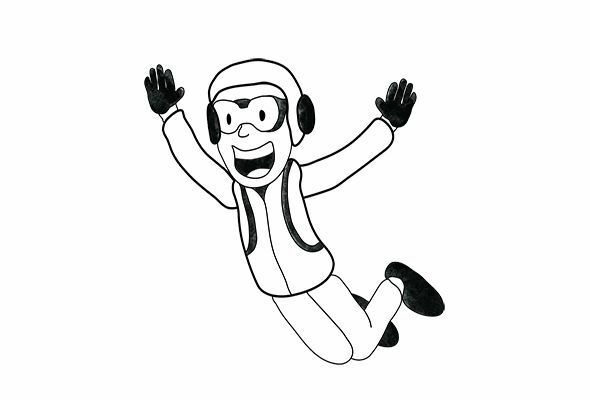 It’s the exhilaration of a skydive without a parachute or plane. Remember when you used to be mummy’s little soldier? 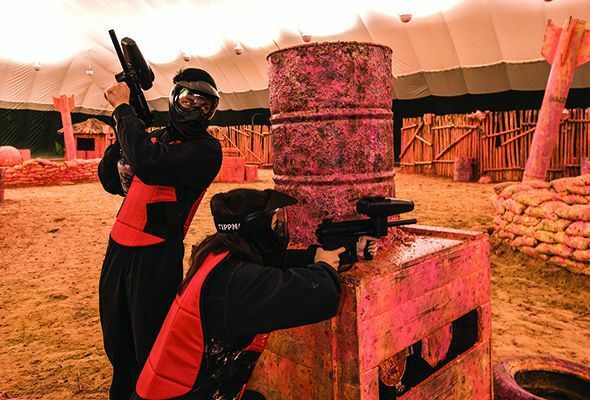 Well, you can pretend to be one again thanks to the spectacular paintballing zones at Al Forsan. Choose the number of colourful paintballs you require; 300 usually covers it. You’ll then be given all the necessary padding to make you look and feel like Rambo. Aim of the game? Make it rain bullets and don’t get hit. A 40-minute game costs Dhs210 per person. 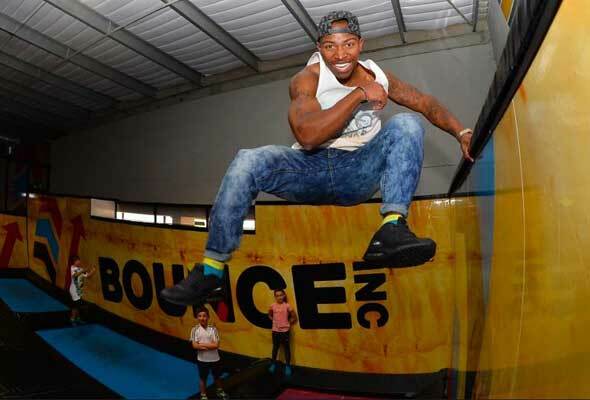 Make like House Of Pain, and jump around on the interconnected indoor trampolines at Bounce. There are fitness classes and family-friendly bookings as well as a swish mezzanine café where you can chill out and watch other people think they’re bouncing at the Olympics. … boat, that is. 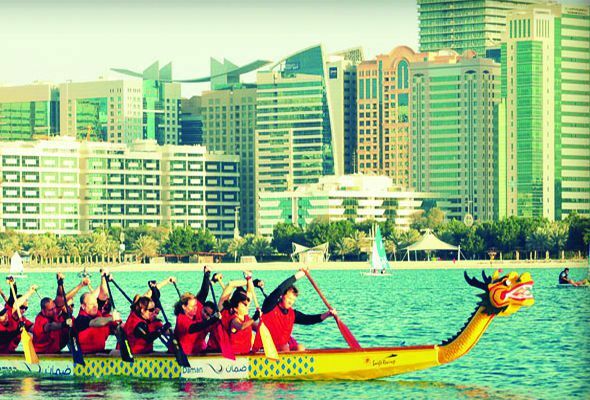 The Capital Dragons, Abu Dhabi’s dragon boat racing team, are on the lookout for recruits – the first three training sessions are free. 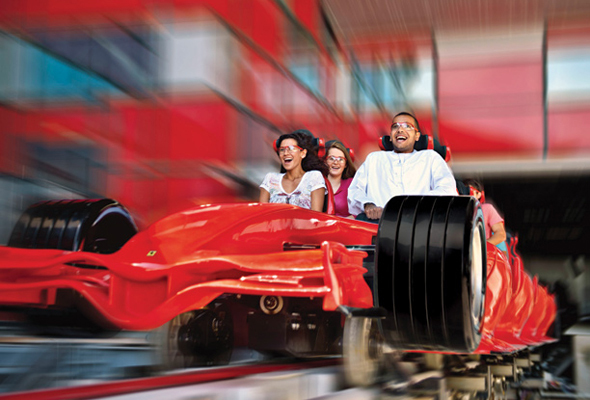 Formula Rossa covers 1.3 miles in 90 seconds. Queue for that all-important front seat where you’ll be handed a pair of goggles for safety – it’s not called the world’s fast rollercoaster for nothing. Strap in and wait. Your brain will feel like it’s been lodged out of place, but for the ultimate big kid adventurers, it’s the coolest ride on the planet. 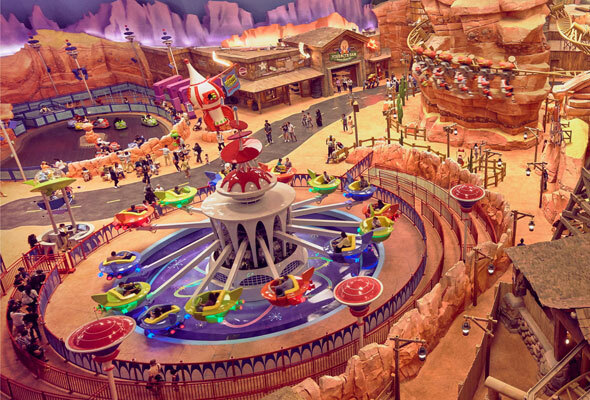 There are 29 rides to try at the capital’s newest theme park, but that’s just the tip of the iceberg: get ready to hang out with batman, Tom and Jerry, Bugs Bunny and loads more cartoon legends at Warner Bros. World Abu Dhabi. 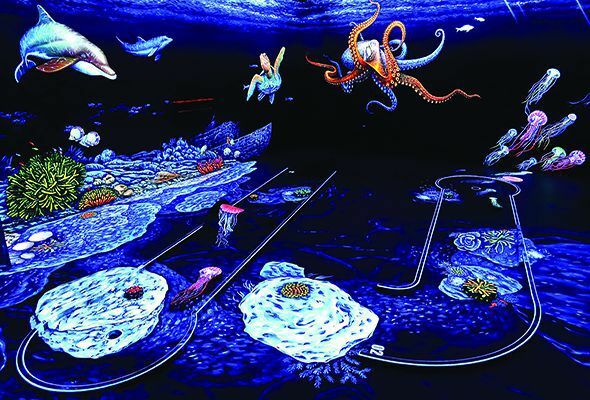 A round of crazy golf at Dalma Mall is roaring fun and the capital’s only neon, glow-in-the-dark mini-course. With ultraviolet lights, aliens and astronauts, it’s silly, fun, and surprisingly tricky. While you may never be able to sit behind the wheel of a real Ferrari car, nor race in an international competition, the Ferrari GT driver experience at Yas Marina circuit gets you pretty close. Jump into the driving seat and take charge of the paddle shifters while revving a 3,000cc V6 engine. 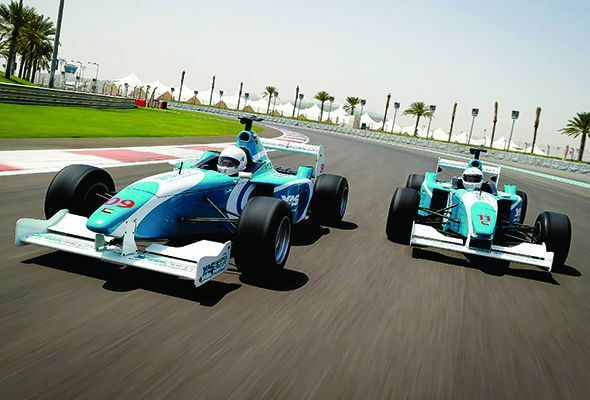 You’ll feel like Lewis Hamilton, even if only for a few laps. Remember how your parents would tell you not to eat too many sweets? 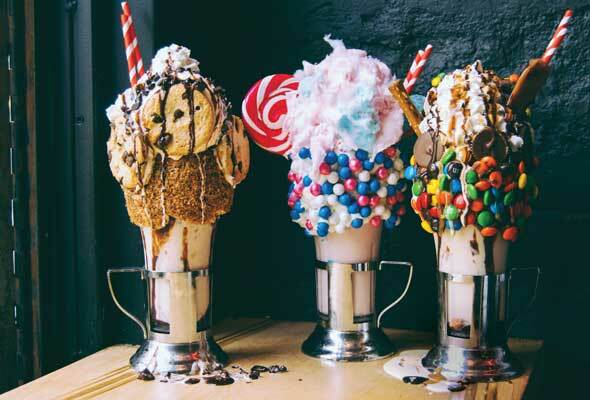 Be a little rebel and order a sugary shake sensation from The Black Tap. 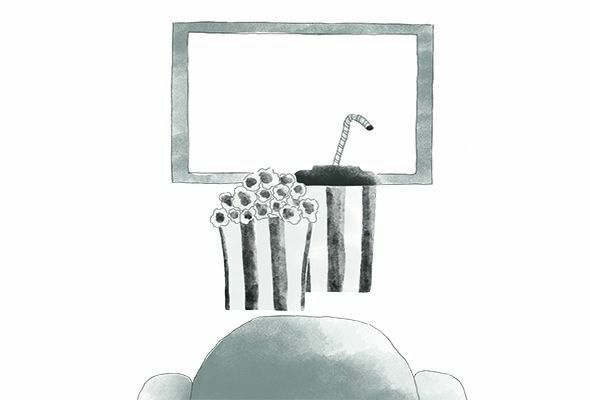 Order the eye-bulging cake batter shake – a vanilla frosted rim with rainbow sprinkles topped with a funfetti cake slice, whipped cream, rainbow sprinkles and the obligatory cherry. You’ll be recovering for days, but it’s worth it.